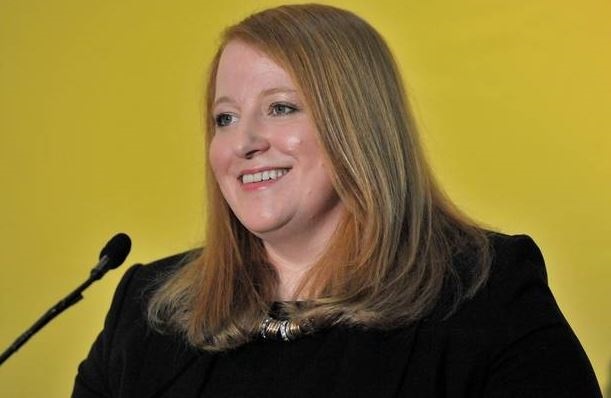 Naomi Long, the high-profile MLA who famously beat former first minister and DUP leader Peter Robinson in the 2010 Westminster election to take his East Belfast seat, has become leader of the Alliance Party. The East Belfast MLA who served as deputy leader of the party for 10 years, was elected unopposed by members of the party’s 250 strong council. Speaking to the BBC, Ms Long said: "Leadership is not just a position, it is an attitude." Born Naomi Rachel Johnston on 13 December 1971 in East Belfast, she attended Mersey Street Primary and Bloomfield Collegiate School. Her father worked in the shipyard and her mother in the rope works. Naomi is married to childhood sweetheart and fellow Alliance politician Michael Long, whom she met when they were both 14. She graduated from Queen's with a Master’s degree in Civil Engineering in 1994, worked in a structural engineering consultancy for two years, held a research and training post at Queen's University for three years, before returning to consultancy (environmental and hydraulic engineering) for a further four years. An Assembly Member for Belfast East from 2003 to 2010, Ms Long served as only the second elected female Lord Mayor of Belfast from 2009 to 2010. She represented the same East Belfast constituency in the House of Commons from 2010 to 2015, famously beating former First Minister and DUP Leader Peter Robinson. A member of Bloomfield Presbyterian Church she is also a Governor of Victoria Park Primary School in Belfast. Inquiries to Gerry Power, Communications Officer, Development and Alumni Relations Office; tel: +44 (0)28 9097 5321.